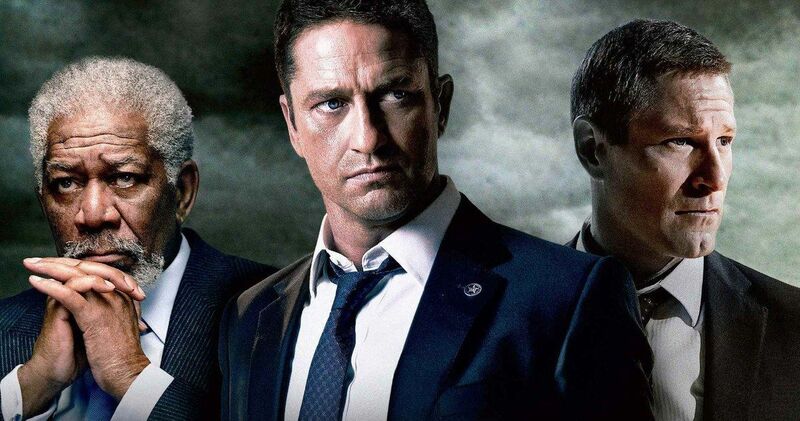 Gerard Butler’s Angel Has Fallen will be released on August 23rd, 2019. While the Has Fallen franchise hasn’t received critical praise, the movies have proven to be successful at the box office over the years. Olympus Has Fallen was the first installment, released in 2013. Critics praised Butler’s performance as well as Antoine Fuqua’s direction, but ultimately bashed it for the over-the-top violence. In the end, the movie earned over $170 million at the box office against a $70 million budget, paving the way for sequels. Angel Has Fallen was first announced back in 2016 as a follow up to London Has Fallen. It was also revealed at that time that Gerard Butler was returning to star and produce the project. Morgan Freeman portrayed the vice president in the first two installments and will be the president for the upcoming third movie. As for the tone of the movie, Butler promises that it’s much darker than its predecessors and has compared it to Logan. The actor also states that Angel Has Fallen is more character-driven than the previous two movies. While London Has Fallen was torn apart by critics, it proved to be an even bigger success than the first installment, which is where the seeds were planted for Angel Has Fallen. More impressively, the sequel was made for $60 million, which is $10 million less than the first movie and it earned over $205 million worldwide. The third movie was pretty much guaranteed at that point, and Gerard Butler has revealed that he wants Angel Has Fallen to be the last movie in the franchise as he hopes to go out on top. The end of summer release date is perfect for Angel Has Fallen, and it should be able to do pretty well in that slot. It’s obviously much too early to predict how it will perform upon its release, but there is hype for the project, especially because Gerard Butler wants to end the franchise as a trilogy. With that being said, London Has Fallen was called out for being “effortlessly racist” invoking “familiar Islamophobia,” by reviewers, which may have hurt the franchise a bit. Whatever the case may be, the third, and possibly final movie, will be released next year. Before the idea of Angel Has Fallen came into fruition, Gerard Butler admits that he couldn’t imagine making the third movie. However, he was pleased when they came up with the idea of his Secret Service agent Mike Banning character finding himself framed for an assassination attempt on the President. Banning is on the run and is trying to prove his innocence at the same time, while also trying to foil a terrorist plot. There’s a lot going on, but one can imagine that it will be action-packed and full of violence. The Angel Has Fallen release date was first announced by The Hollywood Reporter.